Success! The partition layout is identical to the Cr-48, so these instructions work… – Did You Win Yet? 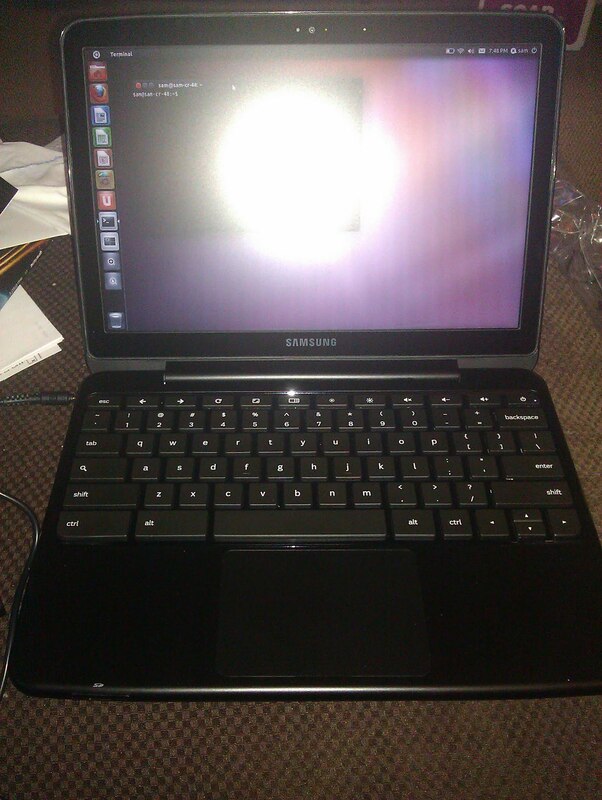 How are you liking the Chromebook, Sam? I was playing with one in NYC and thought it was fun but not a replacement for my Mac. But I can see how it might be in a year or two. Running ChromeOS, it makes a nice guest laptop when people are visiting and want to check their facebook etc. or if I just want to do some casual browsing. It's a lot more useful to me personally with Ubuntu installed, as I can then install the Android SDK and other development tools that really can't live "in the cloud" yet.